Learn about our 2018-2019 Sarasota County Teachers of the Year! Our Teachers of the Year are Bethany Burnett, Alison Cohen, and Es Swihart. Our representative for Elementary Schools is Bethany Burnett. Bethany has been teaching in Florida for 26 years and in Sarasota County for 20 years. Bethany currently teaches at Venice Elementary. She is teaching in an inclusion setting, working with therapists and an ESE teacher. She provides a wonderful learning environment that meets the needs of her students through differentiating instruction and using those strategies that impact learning most. 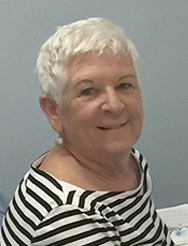 She works very closely with the school nurse to monitor medically fragile children and also works with local community agencies, families and therapists to ensure her students needs’ are being met. Ms. Burnett serves on a myriad of community organizations, such as School Advisory Council (Chair & Vice Chair,), Literacy Council Chair, VES PTO Chair, Teacher Ambassador for NASA. These are just a few of a long list of organizations Bethany is involved in. She also serves on professional leadership committees such as Sarasota Panhellenic Past President and Vice President, Phi Mu Alumni Association and serves in a volunteer capacity for Gulf Coast Community and Venice Young Marines. Ms.
Burnett states “The greatest increase in my students’ performances for the first day of school to the last of school cannot be measured on any formal test. On day one, my student has strong self-esteem or understand the power behind positive self –talk. Once the students obtain the power to celebrate their uniqueness, it is the great gift they can give themselves academically. Positive relationships between the teacher and students are the greatest factor for success. Once those relationships are in place then the academic success follows. Bethany serves as the Chairperson for the Serve Above Self organization. Her school community focuses on increasing literacy for students at Tuttle Elementary. They collected over 2,000 books and created home libraries for every student at Tuttle. She also applied and received grants to support a sensory integration room for all children, dance classes to increase expressive language and put into place the first exceptional education class to become a technology model. This was through a grant from the Gulf Coast Community Foundation. Allison Cohen has the honor of representing Sarasota County Middle Schools. Allison has been teaching math at Booker Middle School since 1997 and has also served as a summer school instructor at Oak Park School for ten years. She currently teaches sixth grade math. Ms. Cohen is very involved in her school serving on the Bill and Melinda Gates Teacher Advisory Council, is a Math Curriculum Leader, Math Department Chair, serves as a Peer Mentor, and works to recruit and retain volunteer math tutors. She also serves in our community as an Officer/ Board of Directors of Brothers and Sisters Doing the Right Thing and is an active member of the Council for Exceptional Children. Allison, who describes her students as “striving sixth graders who learn that ANY gains are welcome gains and students build on their individual successes. There is no predetermined magic number and therefore there are no disappointments; all successes, no matter how small are celebrated”. Allison shares that her successes with her students are due to her collaboration with the families of her students. This includes daily communication with parents/guardians, via text messaging, daily agenda book notes, telephone calls and home visits. She also conducts data chats on a regular basis to give students consistent feedback. All of these interactions help to build relationships with her students and their families. She also donates her planning time, lunch and after school time to provide additional support to her students. She finds that by the end of each year, not only have her students made gains academically, they are now confident learners. Every child does succeed in her classroom. Ms. Cohen’s message is that failure is “Never an option”! Es Swihart has been teaching English in Florida for the last 11 years, and has been teaching at Riverview High School since 2013. Es is Sarasota County’s High School Teacher of the Year. Es teaches a wide variety of classes including IB HL Literature 3 & 4, Pre-IB English2, Pre-IB English 1, Acting 3& 4 and Intensive Reading with READ 180. Her honors include IMG Teacher of the Year 2011, IB Last Lecture Presenter 2016 and Class Nobel Educator of Distinction 2017. Ms. Swihart continually supports her students’ learning through a variety of assessments such as student journals, written exams, and presentations. She emphasizes importance of growth through student acknowledgement and vocalization. She provides an example of this through an IB Assessment. Students are asked to independently analyze a poem and present their argument and supporting analysis orally. As they do this several times as part of the IB Program, she shares that she marvels at the growth her students have made by their senior year. What an honor it is to have these incredible educators represent all instructional staff for Sarasota County! Congratulations to these four amazing Educators! We thank you for what you do each and every day to ensure our students are thriving and learning! Previous Post Superintendent’s sign deals a low blow — and a misleading one!